Condonation means the forgiveness, purposeful disregard, or tacit approval by a victim of another's illegal or objectionable act, especially by treating the other person as if nothing happened. In law, the term condonation is more commonly associated with matrimonial proceedings, in which case it is understood as the voluntary pardoning by an innocent spouse of an offense committed by his or her partner conditioned upon the premise that it will not happen again. Condonation, which is used as a defence in divorce actions based on fault grounds, is strongly supported by public policy. The institution of marriage and its preservation are considered essential for the stability of society, and therefore condonation is encouraged to promote the notion that marriages should not be dissolved easily. Employment relations have been likened to marriages, for a number of reasons. It is often said that successful labour relations are more like 'a marriage, not a boxing match'. It is expected therefore that both parties will sometimes have to overlook certain infractions from the other in the interest of the relationship. However, what happens if the forgiving party later regrets the decision to forgive and decides to enforce their rights against the forgiven party in respect of the forgiven offence? Are they allowed to do so and within what timeframe? What in fact, constitutes condonation in employment relations? The answers to these questions will usually depend on the context. Hence, the answers will be provided by examining a few decided court cases on the issue of condonation in employment relations. To begin with, condonation may either be by the employer or employee; it may also be express or implied. Where condonation is express, the offended party expressly waives his right to sue or complain, by stating so in writing or where the timeframe to react to the offence, as provided by law or contract, has elapsed.. In cases like these, there is little difficulty in establishing condonation. The situation is however nuanced in cases where condonation is implied. That is, where the offended party seems to have forgiven or overlooked the offence/breach but without actually doing so. In anticipation of situations of implied condonation, some employment contracts (like most other commercial contracts) contain a "no waiver" clause, which typically provide that delays do not adversely affect the rights of a party to enforce the terms of the contract.However, is the offending party allowed to simply move on with the relationship without knowing whether or not his breach may be relied upon at some point in future to apply disciplinary measures like suspension or even termination? On the other hand, when a party to a contract waives a breach of that contract by the other party, it voluntarily abandons its legal rights to enforce the contract, or to claim any remedy, in relation to that breach. A waiver must be clear, but may be oral or written. Another major consideration in determining condonation is if the offended party intends to seek remedy outside the workplace, like suing to enforce its rights or demand damages. In such a case, one needs be mindful of “Limitation Law”, that is, the law that a suit must be commenced within a specific period of time from when the injury or omission, causing the damage or loss, arose or occurred. Grievances need to be settled in time while the evidence in support of the claim, or the defence to a claim, is/are still fresh. Not commencing legal action within the statutorily specified period extinguishes the right to seek remedy. Employment contracts are classed as simple contracts. Legal actions based on simple contracts (like recovery of debts and arrears of interest, tortuous malfeasance which includes damages for negligence or breach of a duty of care, account stated, etc.) must be commenced within a period of six (6) years of the occurrence of the injury, loss or damage. However, if the available remedy is internal, like an employer subjecting an erring employee to its disciplinary procedure, condonation will be implied if remedy is not sought nor applied within the period specified for it under the employment contract or the company handbook. Where the contract or the company handbookare silent on the period of disciplinary proceedings, a reasonable time will be applied in determining whether or not the employer can be said to have condoned the infraction in question. A key principle in industrial relations law and practice is that the disciplinary process must not run slowly and sluggishly, or be unnecessarily prolonged; for otherwise, the employer stands the risk of being subsequently barred from applying penalty. From this principle, two rules are evident: firstly, the right to suspend an employee available to an employer is not a right that is eternally available. And secondly, where there is an infraction, an employer who allows the disciplinary process to run very slowly and sluggishly stands the risk of being read to have condoned the said infraction. As a result, courts customarily frown on a prolonged suspension, and in some cases, quash the suspension. In one of the decided cases,the Court expressed its displeasure over a prolonged suspension, when the employee in question had been suspended for a period of over 18 years. The suspension was held to be unfair and unjust and accordingly quashed. 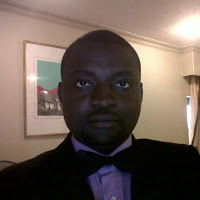 In another case, the claimant was erroneously suspended in 2005, recalled in 2009 and told that he will still be investigated for what he was initially and erroneously suspended for. The Court in this case also set aside the suspension and ordered that employee be paid all his entitlements without any loss of benefit including arrears of his salaries. In yet another case, the employee sued to contend his employer’s act of summary dismissal was irregular in the sense that the employerafter the conclusion of the investigation did not suspend, terminate, sanction or summarily dismiss him. Rather, the employer transferred him to a different branch as its employee to continue on the job.The employer was held to have condoned the infractions, which he later purported to act upon in dismissing the employee. The court has also held that in a case where the staff handbook provided that ‘disciplinary proceedings for any misconduct shall be dealt with as soon as possible’, undue delay on the part of the employer must be read as a waiver of the right of dismissal, and that any dismissal afterwards can only be construed as a case of victimization. The common principle in all these cases is that where an aggrieved party is lax in seeking remedy (and the laxity is usually for a period exceeding one year),condonation will be implied. This means the aggrieved party must be decisive in considering legal action in deserving cases. 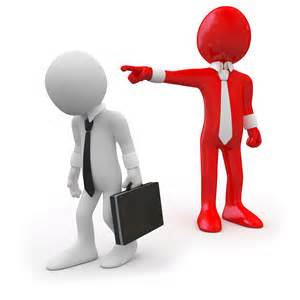 This is especially for the employer, who is often required to apply disciplinary measures. When the disciplinary process is activated, it is essential to follow the process through completely. Employers must have robust procedures and supporting documentation in place to effectively discipline their employees, both to ensure procedural fairness, and to protect their position, should the employee take action against them. In practice, the disciplinary process starts well-invitation to the meeting is sent, the meeting is held, all the evidence and the employee’s response is considered, the decision is made to apply the penalty, the employee is advised that they are getting a punishment, but then the letter never gets issued. Often these matters are not followed up because of the difficulty of articulating the problems, creating performance improvement plans and setting quantifiable outcomes. Subsequently, the whole grievous process achieved so far will be wasted. In conclusion, it is important to note that disciplinary procedures in the workplace will be to the benefit of both the employer and the employee. Employers often find themselves making costly procedural mistakes when disciplining or dismissing an employee for misconduct. They may have a fair reason for dismissal, for example the employee has stolen company goods, deliberately damaged the employer’s property or breached health and safety rules, but if the employer has not followed a fair procedure, this can make the whole process unfair. Having a clear, legally compliant and well-written procedure will guide an employer through a good disciplinary procedure which will reduce the likelihood of running into legal action and providing the affected employee with the much needed feeling of fairness of the process.